Sigma Sourcing today announced the release of major improvements to the functionality of the table editor for entering data into the system, similar to entering data into Excel. “Eliminating the tedium and slowness of data entry for our clients is a high priority for us,” says Ben Gripka, Sigma’s President and Founding Software Engineer. Last year the company introduced the PDF Importer, and now this year Sigma completely streamlined the process for entering vendors, users, specs, and budgets into the system. This new efficiency and speed is a game changer for OS&E purchasers. Sigma’s primary test case was a 1,000-line OS&E budget with errors to be corrected. Copy and pasting from Excel, the budget was entered and saved in under 60 seconds. Sigma Sourcing's purchasing software is built with the belief that efficiency in the way a software application works is just as important as the features it offers. That is why in April, Sigma Sourcing's President and Founding Software Engineer Ben Gripka directed staff development time to focus on internal improvements. The initiative resulted in new diagnostics and monitoring protocols to detect any inefficiencies in system operation and quality time spent on eliminating myriad inefficiencies. "We understand and take seriously our responsibility to our hospitality purchasing clients," says Gripka. "That is why we invest time and resources in these process improvements. Now our system is faster than ever and is providing our clients the speed needed to focus on the work and forget about the software." Sigma Sourcing introduces its latest new feature – PO Acceptance Process for Vendors -- in its hospitality purchasing software. 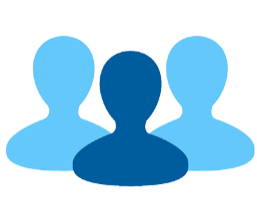 A personalized vendor page - where vendors can view Requests for Quote, submit their bids, and view their Purchase Orders complete with PDF spec pages specific to the order - has been a standard feature. Sigma has now added an interactive acceptance process to that feature. Purchasing companies will no longer have questions about whether or when a vendor has received an order and agreed to its terms. This new PO Acceptance process allows vendors to indicate their acceptance of the PO with a few easy clicks of their mouse. The feature provides purchasing companies a much-needed means for verifying an order was received and accepted, and it is one more function that Sigma Sourcing handles inside the system to help streamline its clients’ FF&E procurement operations. The Ness Group, with a staff working remotely throughout the country, has become Sigma's first purchasing company to complete its training program entirely online. Sigma Sourcing's software-as-a-service is cloud-based, making it easy for The Ness Group's employees to be trained via web meetings and be up and running with new projects quickly. In the training session on Sigma's reporting capability, The Ness Group CEO Chief O'Hara remarked, "This is really great. It’s a much-improved budget report in my opinion and gives you a much better sense of how things are being spent overall on the project. Not just a couple numbers that we’re randomly throwing out there to the client." Ben Gripka, Sigma's President and founding software engineer, confirms, "Sigma is dedicated to providing meaningful reports for purchasing companies to manage the entire spectrum of its FF&E projects." Chief also noted, of the Sales/Use Tax Report, "this is exactly what we needed. We can present the information multiple different ways to the client down to the very detail; how much tax is paid to one state and how much is still owed in use tax." To learn more about The Ness Group, visit www.thenessgroup.com. Today Sigma Sourcing announces an upgrade to the vendor payment processing module of its software-as-a- service hospitality procurement system. Following weeks of beta testing, Sigma now officially offers its clients the ability to accurately track every penny paid to and balances outstanding with vendors on every project. With this release, our clients receive exact accounting details such as sales tax paid, use tax accrued, freight, handling and overage charges incurred on every project. This eliminates the need for data to be tracked outside the Sigma Sourcing procurement software system, which means every balance reported for a vendor is the actual balance with that vendor. FF&E purchasing companies can use Sigma Sourcing’s system to process invoices that have freight, overage or sales tax only. The system also includes the capability to process vendor credits that brings every balance to zero. If a PO is adjusted via the change order system, the purchaser can now process negative balances. The system also calculates additional sales tax on extra charges, assessed by vendors, which were not entered on the PO. "With Sigma Sourcing, no ‘i’ goes undotted or ‘t’ uncrossed. All additional values are reflected in the balance on the Accounts Payable Report, allowing our clients to fully zero-out each and every project," says Sigma President and Founding Software Engineer Ben Gripka. "This newest enhancement to the Sigma Sourcing procurement software platform gives our clients a competitive edge when it comes to closing out projects." Sigma Sourcing, offering software-as-a-service purchasing systems to the hospitality industry, is pleased to announce the addition of its newest client, Christina River Exchange, LLC (CRE), providing design in addition to procurement services. With design specs being the driver of the hospitality procurement project, Sigma Sourcing strives to build and improve its database systems to provide the utmost in accuracy and efficiency. This new relationship with a very forward-thinking CRE propels Sigma, through its client-centric and collaborative business model, toward an even more comprehensive purchasing software system for FF&E industry leaders. Training of CRE staff and implementation were completed this week and both parties are looking forward to the new relationship. "Sigma Sourcing is an invaluable software platform, which has helped us improve the overall efficiency of our procurement process," according to Michelle Schwandt of CRE Business Operations and Development. "Specifically, the ability to import specifications provided by our design partners and field map data within the software allows us to easily generate RFQs and Purchase Orders." To learn more about Christina River Exchange, visit their website at www.christinariverexchange.com. Sigma Sourcing announces the launch of freight forwarder access with 100% real-time collaboration on all project orders and final destinations. This capability for forwarders is unique in the hospitality purchasing software market, providing forwarders real-time access to view orders and the final destinations for all projects to which they are contracted. Sigma Sourcing’s software-as-a-service integrated purchasing system streamlines the process of tracking final destinations by collecting the information when the PO is issued. This functionality is another way Sigma Sourcing facilitates purchasing companies’ workflows – once a PO is cut, there is no need to keep spreadsheets, create additional instructions or generate and send reports to forwarders. President and Founding Software Engineer Ben Gripka says, "Working with a freight forwarder is commonplace in hospitality purchasing, and we recognize the value of connecting forwarders into a purchasing company’s realm. With access points for forwarders and vendors, and in the near future designers and warehousers, Sigma Sourcing provides purchasers real cost savings by connecting all members of this complex procurement web within their unique role in the process." Today Sigma Sourcing completes the installation of enhancements to its software-as-a-service hospitality procurement system to provide detailed tracking of designer submittal items for each project. A new interactive report shows the status of each submittal required of each vendor. The easy-to-use tool provides simple tracking of submissions and sign-offs to ensure the vendor and designer are in sync. "Submittal tracking is a functionality that seems small in the scheme of the overall procurement process," says Ben Gripka, Sigma Sourcing President, "but we know that it’s critical to track every little detail if the property is going to open on schedule." Sigma’s newest enhancement allows its clients to keep track of this information right inside the system, eliminating the need to store additional data in spreadsheets, as is often the case with other purchasing software. This newest enhancement represents yet another component of the Sigma Sourcing system that is creating a competitive advantage for Sigma’s clients in the FF&E hospitality procurement industry. In a strategic move to continue adding value to its clients, Sigma Sourcing today adds Eric James to its web development staff, creating even more bandwidth for continued expansion of its software-as-a-service hospitality procurement software. This additional staff will also result in a boost to Sigma’s already great client service, providing additional technical, yet relatable, staff to answer client questions or trouble-shoot issues on-the-spot. Sigma’s strategy of adding staff follows its entire business model of measured growth and has proven to be effective in finding just the right resources to continue making its mark in the FF&E hospitality procurement industry. "We are focusing our expansion in technical areas that benefit our clients the most," says Sigma Sourcing President and Founding Software Engineer Ben Gripka. "Our experience in this industry and collaborative efforts with our clients work seamlessly to drive our development activities; our newest developer will be expanding and enhancing the service we provide." In a major productivity boost for its FF&E hospitality procurement clients, Sigma Sourcing introduces its Designer PDF Importer – a proprietary tool that instantaneously maps designer spec data into the Sigma Sourcing hospitality purchasing software system, eliminating the need for tedious and time-consuming data entry. "This tool helps our clients gain a competitive edge on their new project starts and in preparing proposals," notes Sigma Sourcing’s President and Founding Software Engineer Ben Gripka. "It also allows our clients to hit the ground running with their designer specs auto-imported into their Sigma Sourcing database." Gripka’s significant experience working with FF&E leaders provided critical insight for designing this software tool that interprets the most common designer spec templates and imports their data directly into Sigma’s database system perfectly. With no up-front effort, the importer provides Sigma Sourcing’s clients superior data integrity for the entire procurement process, from budget to payment. "This tool is a game-changer for our client’s efficiency and growth potential. This solution and others like it are the ways Sigma Sourcing empowers leaders in the hospitality procurement industry." Today marks the introduction of two positions at Sigma Sourcing, demonstrating its continuing commitment to be a leader in providing software as a service for FF&E hospitality procurement companies. Cyndi White joins Sigma Sourcing as the new Director of Operations, bringing expertise in corporate governance, human resources, documentation, and project management. Assuring these behind-the-scenes functions are handled proficiently demonstrates Sigma’s commitment to all aspects of its business operations, while allowing its technical staff to focus on executing on continuous improvement for FF&E hospitality procurement. Sigma Sourcing’s newest Web Developer, Tony Verbano, brings experience in the hospitality purchasing industry, especially in the area of accounting. Adding technical staff enhances Sigma’s capacity to continue enhancing and refining its purchasing system. "We are confident that our measured and selective growth in personnel will bring the ultimate benefit of improving our clients’ experience and capabilities," says Sigma Sourcing President, Ben Gripka. Sigma Sourcing, an integrated software as a service company, today announces support of QuickBooks Web Connect, a feature that functions as a bridge between Sigma Sourcing and QuickBooks and eliminates most data entry associated with the high volume of invoices and payments typically handled by hospitality purchasing companies. This feature imports accounts payable and account receivable data directly in QuickBooks and ties payments to purchase orders creating real audit controls. 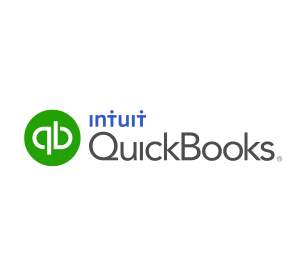 Leveraging QuickBooks features, it also brings efficiencies to the creation of financial statements, payment processing and invoice collections. "Integrating QuickBooks into our already robust, completely customizable hospitality purchasing software platform is having an immediate impact on client operations," says Sigma Sourcing President Ben Gripka. QuickBooks integration is one of many benefits of Sigma Sourcing's hospitality purchasing platform designed specifically to help FF&E procurement companies efficiently execute their core sourcing processes. Other key features and functionality include expediting, change orders and detailed budgeting. Sigma Sourcing, an integrated software as a service company, today announces the release of its hospitality purchasing platform designed specifically to help FF&E procurement companies efficiently execute their core sourcing processes. The software platform was built together with hospitality procurement leaders for hospitality procurement leaders, with features and functionality to support today’s industry-specific needs, as well as those in the future. Key features and functionality include expediting, change orders and detailed budgeting, vendor payments and client invoicing. Sigma Sourcing’s easily-customizable software platform is ideal for mid-size companies interested in bringing efficiency to their core sourcing processes, yet not able to hire an in-house development team. "We add the greatest value for hospitality procurement companies expanding their operations, outgrowing their current system or just getting started and want an efficient system from day one," says Sigma Sourcing President Ben Gripka. "We are committed to making sure each client’s specific needs are met and they never again outgrow their purchasing software." Sigma Sourcing, a hospitality procurement software management company, officially completes implementation and launches training of The Carroll Adams Group's New York and Orlando offices. This launch, which marks the introduction of Sigma Sourcing's industry-specific software to hospitality FF&E/OS&E purchasing companies, brings 24/7 real-time access to Carroll Adams' projects: organized budgeting and planning; a timeline highlighting key project thresholds; and clear, customized and easy-to-read, flexible project reporting. 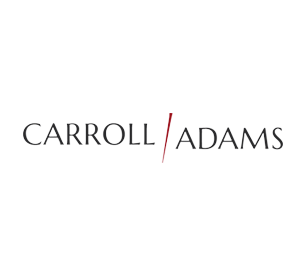 To learn more about The Carroll Adams Group, visit their website at www.carrolladams.com and read our Success Story about them. President and Founding Software Engineer Ben Gripka says, "we are proud and honored to be Carroll Adams' choice. If you are in hospitality procurement and also need software that you cannot find anywhere else, call us today at (913) 735-6061 or email info@sigmasourcing.com."